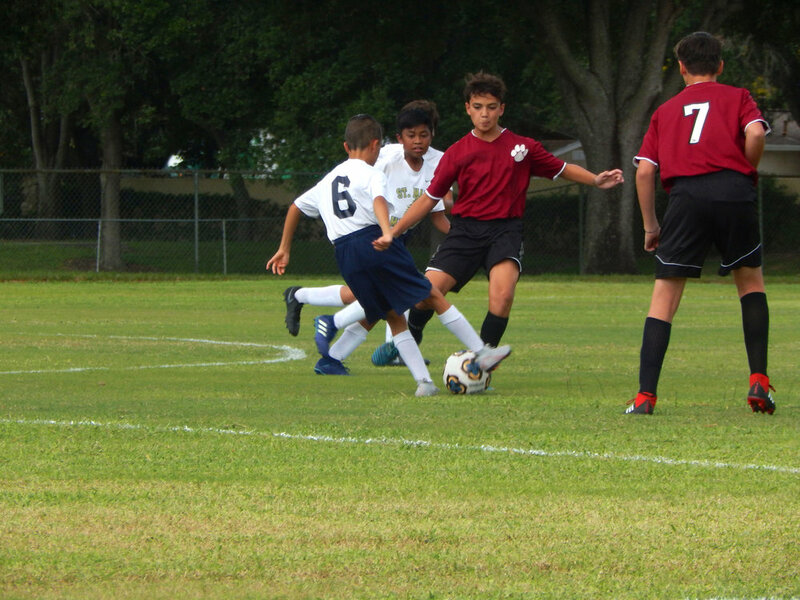 Under the direction of the Diocese of Orlando Office of Schools, the Catholic Youth League (CYL) has merged with Catholic Middle School Athletic Conference (CMAC). Both programs shall operate under the name of Catholic Youth Sports (CYS). All Souls is a member of Catholic Youth Sports. Find out more about Catholic Youth Sports, get schedules and standings by visiting their site Catholic Youth Sports. We rely on volunteer coaches for our sports teams. All volunteers must be fingerprinted though the Diocese of Orlando, and complete the required Safe Environment Training. To access the Diocesan fingerprinting and Safe Environment Training, click here. Representing the school in the sports program (Grades 5 – 8) of the Diocese and participation in other clubs and organizations is a privilege extended to students. There are certain academic and conduct requirements for students who wish to participate. In order to participate in sports and other school clubs and organizations, students must maintain a combined minimum average of at least 70% in all major subjects. Students may not have an F in any subject. Students participating in clubs and/or sports are expected to comply with all academic/conduct requirements. These requirements include, but are not limited to: completing homework, class assignments, and projects; maintaining passing test scores, and displaying appropriate classroom behavior. Students not in compliance with these expectations will be issued a written warning detailed in the Remediation Program. The process will involve 3 phases. The first phase is a Warning (an athlete may practice and play in regular season games). One week will be given to rectify the situation wich initiated the remediation. If after one week the student has not improved, they will be moved to Probation (an athlete should practice, but will be ineligible to play any games). This phase includes one more week to improve. Lack of satisfactory improvement will lead to Suspension (removed from team). A student who is absent from school on a scheduled game or practice day may not participate in that day’s scheduled game or practice. Additionally, any student assigned to serve an in-school or out of school suspension may not participate in that day’s game or practice.